'Bandit' American Bulldog Age:3 Hi! I'm Bandit! I found myself at Cobb County animal control on the code red list, I was so scared my life was over but then a miracle happened, I got adopted! I was so happy for a few months until my dad had to move away and I couldn't go with him, I now find myself stuck in boarding, I have been here several months now, My adopted grandma reached out to a rescue to help me because she has osteoporosis and could not keep me and give me what I need with her in a small apartment, so here I am praying for another miracle, a forever family! I am very sweet and love other dogs and humans of every shape and size, I don't chew or bark unless there is a reason too and I am potty trained! I also know my basic commands and just want to love and please you! 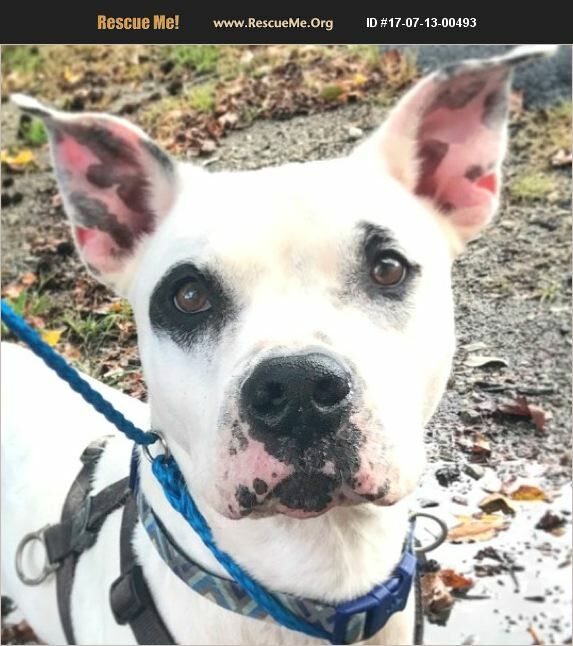 I am also very easy going,gentle love to walk on my leash and will stay right by your side, love babies and car rides especially if we get to stop by McDonalds and get some chicken nuggets! Please give me a chance, there are no foster homes open and its loud and scary in boarding like being at the shelter, I am getting depressed but not loosing hope I know my forever family is out there somewhere! Maybe its you? I am the total package if I don't say so myself!! More pictures available of my cute self upon request! Contact: Starr Sterling 770-757-0881 starrssterling@yahoo.com www.courtneyscaninecare.com You can also visit our website and fill out a preliminary application on me if you are interested and also find out more about our adoption process under the adoptable dogs tab!